"I received the Honda VF1100S saber 1984-85 Ultimate Jet kit - Hvf1100s84 and installed it the day I received it The V4 is a real pain to remove and in stall the carbs ..
My 1984 V65 Saber has a K&N filter in stock air box with Cobra F1 slip-on Mufflers, stock ignition.. I had a flat spot in the rpm range at 5500-6500rpm,a lean condition. With the ultimate kit and adjusting the float levels to the required 7.5mm(9/32) One float level was not in the required range,with two shims per needle transformed the performance machine pulling strong to 9800 rpm. The jetting was spot on! The pilot screws where adjusted and final location was 2 turns out from being seated. After a strong road test I checked the sparkplugs and they showed the correct fuel mixture (very light gray ,no soot). Engine idles smoothly no over rich conditions. Very nice preforming setup. I'm the original owner of this bike from NEW in 1984. Yes I'm an old Dude,70 yrs old still turning wrenches on motorcycles and cars. Thanks for a great kit,"
"The jet kit I received work WONDERFUL. I have a 1988 Honda Hurricane (CBR1000f) and everyone online talks about how difficult it is to get the carbs right with cone filters. I used the calculator on carbjetkits.com and my bike started right up and runs EXCELLENT. I wont buy jet kits anywhere else." "Amazing transformation to my 1998 Honda Magna. It used to run extremely lean and it took 20 minutes to warm up so that I could even ride it. Would never start without choke, and the list of issues goes on and on. I quickly calculated the jet kit needed for my bike and within days you guys had it delivered. A few hours later, I had it installed. Now my bike fires up instantly, without the choke, and is ready to ride without any warm up needed. Your jet kit and install guide was so easy to follow and install. It is exactly what my bike and I needed. I am looking forward to an amazing year of riding! "Kit corrected the lean condition after adding free flowing exhaust THANKS"
"I placed pods on my 1982 honda nighthawk 750. Barely running. Placed your kit. Fantastic. Starts and runs great. Thanks "
"I put pods on my 1982 honda nighthawk 750. Wouldn't hardly run. Placed your kit. Fantastic improvement. Thank you "
"It's like my bike was sleepwalking, prior to these bigger jets being installed. It runs like a beast, now. And no more backfiring. I'm assuming that it fixed my fuel economy as well, as it was running very lean, prior, due to air modifications, and debaffle. Full throttle has so much more power, now. Feels like +100cc power added to my bike. "Can't believe I received my order in 3 days! I have never did bike carbs before, and hesitated tackling it, I have a '99 VF750 Magna V4, and this bike isn't easy to remove the carb bank, but I did it and am getting ready to re-jet and shim. I am also installing new grommets and clamps and hoses while I have the carbs off, since it has 70,000 miles on it. I couldn't have done this without the excellent instructions you provided, and I will write another review when I have it done. Thanks for all the help, and thanks for the Ultimate jet kit!!!!" "I ordered a jetkit for my Honda VLX600. I used the jet-calculator before making my order. Price was great, no shiping costs to The Netherlands and delivered in 4 days. That's amazing! Jets work great and my bike runs ,after modifications, very well." I emailed to ask about jets in other kits compared to shims. I recieved an email within minutes with a link explaining why carbjetkits.com uses shims. In another email the associate realized I was confused on a related issue on my bike and clarified that for me. Customer service like this is (or so I thought) a thing of the past. The jet kit was easy to install. The instructions were simple and complete. My '98 Honda Shadow A.C.E VT1100C-2 was running terrible. With the jet kit and a high flow air filter, I don't use choke to start, and the performance is more than I imagined. 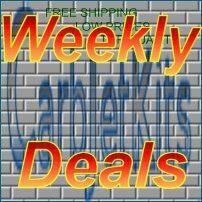 I have recommended carbjetkits.com to anyone I talk to who hasn't installed a jet kit yet. I am more than satisfied with the personal care I received, and can't say enough about the affordable jet kit."